Eric Wright Civil Engineering and design partner GHD were chosen following a competitive procurement process that saw a number of companies put forward proposals. 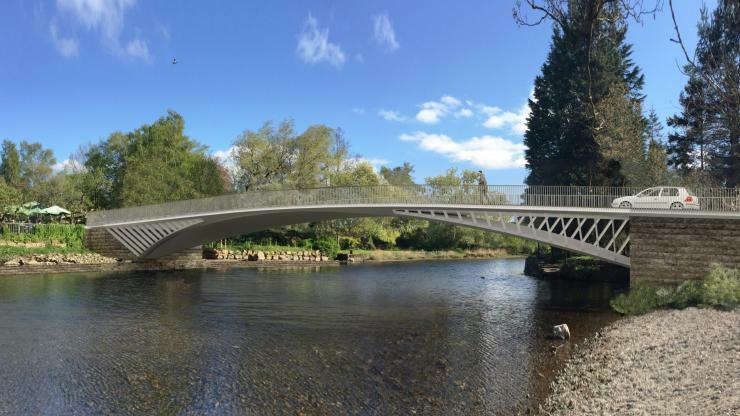 The new bridge will be built across the River Eamont at Pooley Bridge at the northern end of Lake Ullswater. The original bridge was washed away during floods in 2015. Eric Wright and GHD have committed to a detailed design and engineering solution that remains as faithful as possible to the concept design that was developed by Knight Architects, whilst giving full consideration to the impact of the construction phase. The proposal submitted by Eric Wright Civil Engineering includes the design of a temporary footbridge, which would be installed during the construction phase before the current temporary road bridge is removed. Once final designs and costings have been sufficiently developed, a final decision will be required by the council on the appointment of the contractor for the remaining construction phase. Construction works are scheduled to start on site by the end of this year.